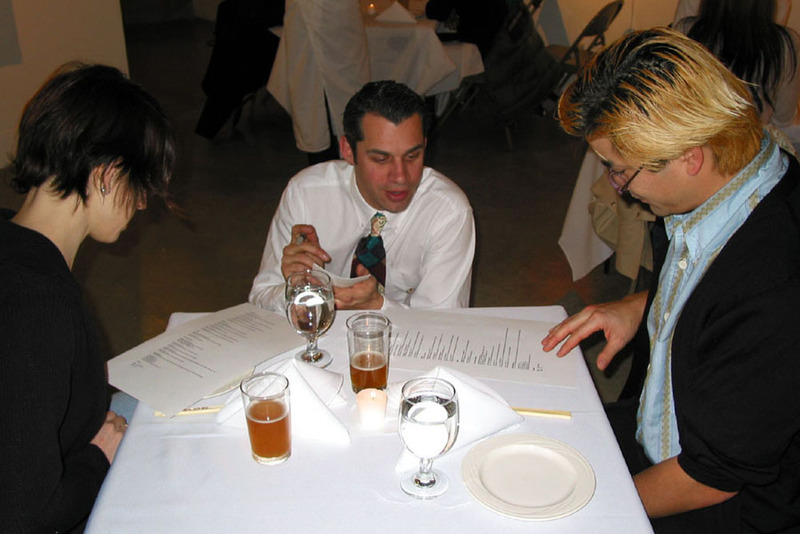 The gallery was transformed into a fully functioning clandestine restaurant called The Horse. 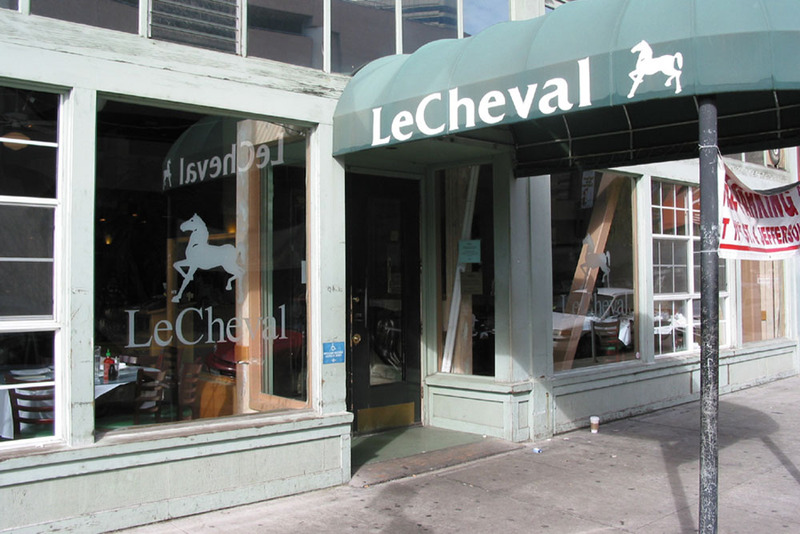 The Horse offered patrons the same menu items and pricing that were available at the Le Cheval restaurant located directly across the street. Throughout the night patrons' food orders were taken by waiters then phoned in to the take-out counter at Le Cheval, where they were repeatedly picked up by the artist and delivered back to The Horse. Once the food arrived at The Horse, it was plated by the chefs, and delivered to patrons by their waiter. Le Cheval, being an extremely high-volume restaurant, was unaware of The Horse and only casually remarked on the repetitive ordering. The Horse diverted the stream of production and consumption from a larger established institution in a smaller shadow institution without altering the economic conditions of the original.